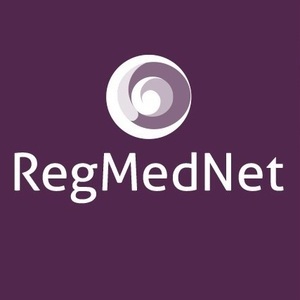 In this interview, RegMedNet speaks to Dr James Holmes (Wake Forest University School of Medicine) about his experience of using Regenerative Epithelial Suspension (RES) combined with ReCell® technology for burn wounds. Dr James H. Holmes IV (Associate Professor of Surgery at Wake Forest University School of Medicine and Director of the Burn Center at the Wake Forest Baptist Medicine Center, both Winston-Salem, NC, USA) focuses much of his research on the development of skin substitutes for burn wounds and has been using Regenerative Epithelial Suspension (RES) and ReCell® technology (Avita Medical) on a Compassionate Use basis for a number of burn patients he has treated. This protocol is based on the treating physician’s clinical opinion and whether he/she believes the patient will benefit from treatment. “Compassionate Use is an open protocol whereby if I feel one of my burn patients would benefit from a therapy that’s not available in the USA I can apply to use it,” Dr Holmes explains. “It requires a number of levels of consent: from the patient per use, from the IRB at your institution each time you use it in that particular patient, from the manufacturer, and from the FDA – per patient. That said, the data has shown a decreased length of stay, improved healing time and decreased mortality in rate in those patients treated under the compassionate use protocol thus far, and when compared with historical controls. In the Compassionate Use protocol developed by Dr Holmes and colleagues, ReCell® is used to produce RES, which is sprayed over meshed split thickness skin grafts with an expansion ratio of at least 3:1. The populations treated thus far include adults with a total burn surface area (TBSA) of 40% or more and children with a 30% TBSA threshold in older children, and as low as 20% in younger children, in whom smaller TBSA injuries are more serious (though the pediatric group did not have any historical control with which to compare results). In the adult population, Dr Holmes and his team have been able to reduce the mean length of stay by 50% when compared with controls. Dr Holmes believes that a successful true skin substitute would have a remarkable impact on patient outcomes, healthcare and the overall economy, but we remain a long way from seeing that ‘holy grail’ of burn care. While RES doesn’t necessarily match this definition, it has provided Dr Holmes with a phenomenal adjunct to autologous grafting, since the wound can be closed a lot faster. He describes it as a versatile technology that could be used in a number of ways in the same patient without an incremental increase in cost, since length of stay can be reduced so dramatically. Want to learn more? Read the report on the Skin Regeneration Symposium, or our interview on translating research to improve outcomes in wound care and oncology with Dr Nik Georgopoulos.